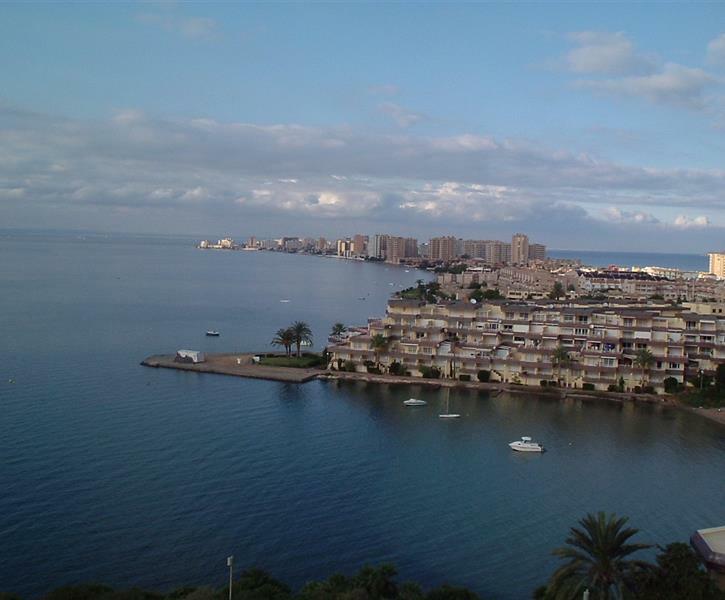 This large luxury 2 bed apartment is situated in the "heart" of the famous La Manga strip. Located just a stride away from the beautiful Cala Del Pino beach or 5min walk to the med. Nearest airport is Murcia approx 25min drive and Alicante approx 1hr 15mins drive. Airport transfers can be arranged please contact us for details. Welcome grocery pack can be provided if required. Sea views from all rooms and terrace. No pets or smoking inside leaflets in the apartment with details of bike hire, watersports,diving etc tennis courts for hire by Zoco Centre Plese bring your own beach towels private parking space in garage underneath apartmentment Built in BBQ on the terrace High chair and travel cot provided for young children please request bedding at the time of booking. Please contact us with payment details before booking. Apartment was lovely with everything we needed for a very comfortable stay. Perfect location with the beach at the bottom of the stairs and some great restaurants and shops just a few minutes walk away. We used the indoor pool a few times and always had it to ourselves. Communication with Mandy before our trip was always easy and very helpful. Thank you. We loved the apartment. The terrace made the holiday, as we had an amazing view of sea beyond and the side view of the beautiful cove, beyond. A really well appointed apartment, quiet and well equipped too, we felt it was home from home. Comfy beds, air conditioning all good, kitchen great, and the barbeque was great too. The bathrooms were good, all spacious living, roomy and welcoming. we loved the little cove to bathe, couldnt get over how near we were to the steps down to the beautiful cove, so quiet and serene, where the pine trees gave shelter. Thank you mandy and Ged, we throughly enjoyed it all, and had a lovely time. Lovely apartment home from home! Good location apart from hills either side, strip not quite what we expected, all in all very nice. A lovely apartment with access to Mal Menor . Spacious with ogromnoi terrace and lovely views . In walking distance to bars and cafes. Recommend to anyone who wants to enjoy the beautiful sea and sun. The only thing was not a big problem with the sink in the kitchen , but we reported it to the hostess in the future everything was supposed to eliminate .